Download ppt "Doc. 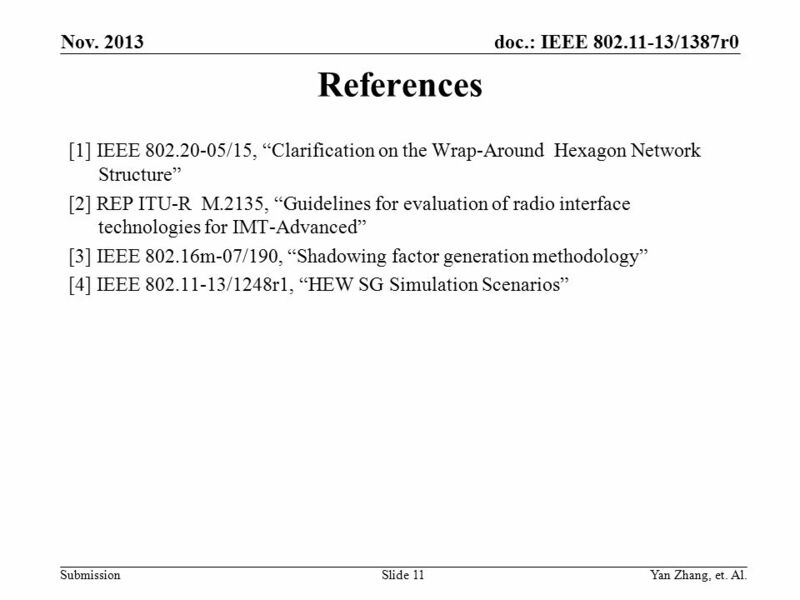 : IEEE 802.11-13/1387r0 Submission Nov. 2013 Yan Zhang, et. 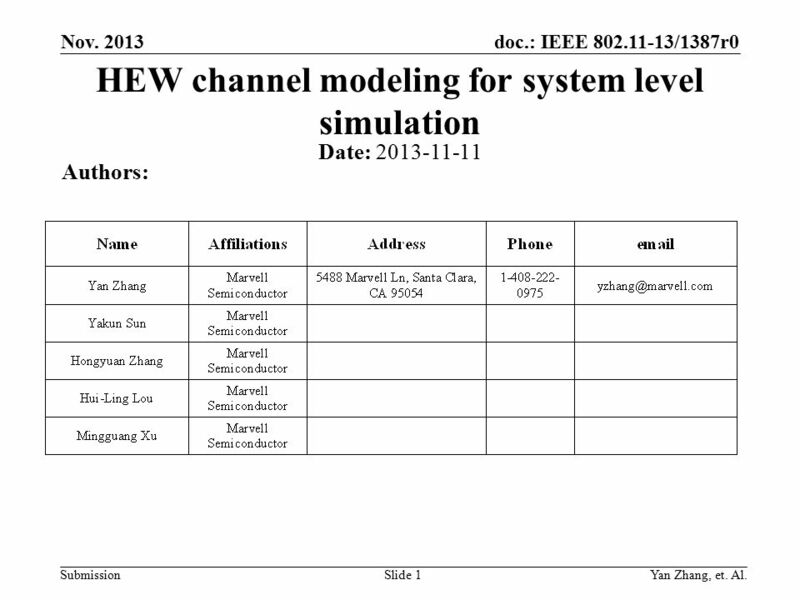 Al.Slide 1 HEW channel modeling for system level simulation Date: 2013-11-11 Authors:"
Doc. 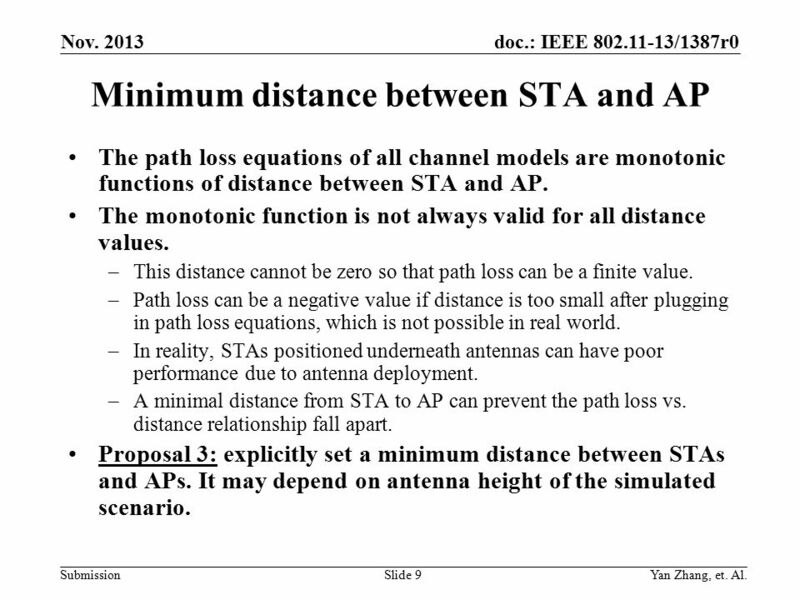 : IEEE /0364r1 Submission March 11, 2009 JT Chen et al (Ralink Technology Corp.) Slide 1 Comments on AOA and AOD Selection for a Multi-User. Status of Channel Models IEEE WG Session #7 March 15-19, 2004 Qiang Guo Editor, Channel Modeling Correspondence Group C /30. Submission doc. 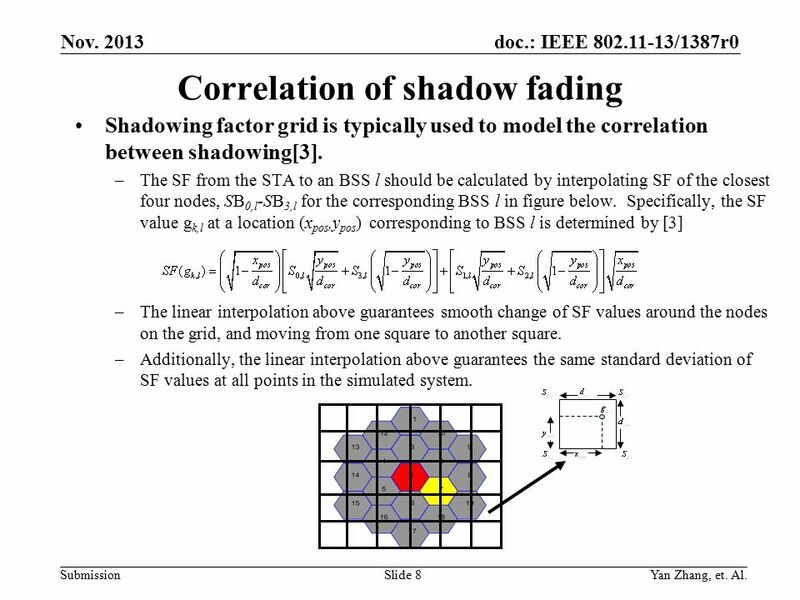 : IEEE /1214r1 September 2014 Leif Wilhelmsson, Ericsson ABSlide 1 Impact of correlated shadowing in ax system evaluations. Doc. 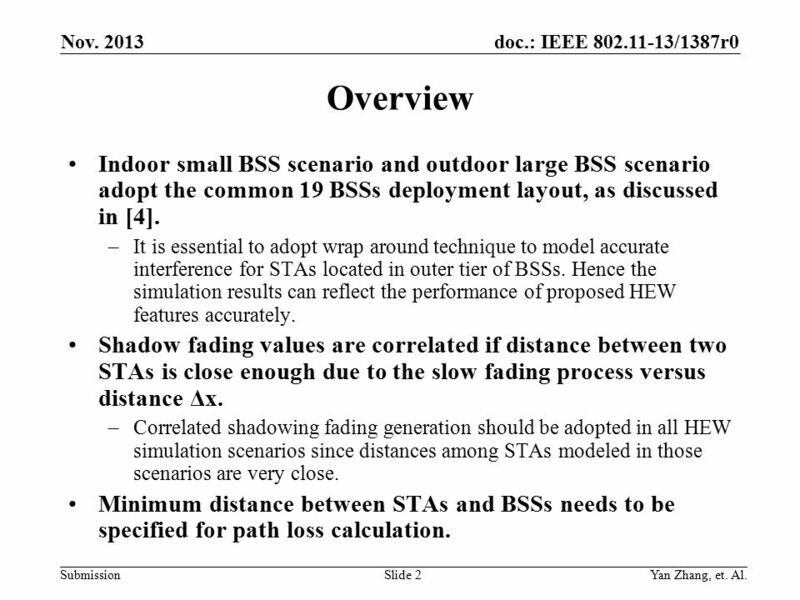 : IEEE /0272r0 Submission February 2011 Ron Porat, Broadcom Outdoor Path Loss Models for ah Date: Authors: Slide 1. Doc. : IEEE /0116r1 SubmissionYakun Sun, et. al. (Marvell)Slide 1 Long-Term SINR Calibration for System Simulation Date: Authors: NameAffiliationsAddressPhone . Doc. : IEEE /0436r0 Submission February 2011 Mediatek Path Loss and Delay Spread Models for 11ah Date: Authors: Slide 1. Doc. : IEEE /0630r0 Submission May 2015 Intel CorporationSlide 1 Verification of IEEE ad Channel Model for Enterprise Cubical Environment. Doc. 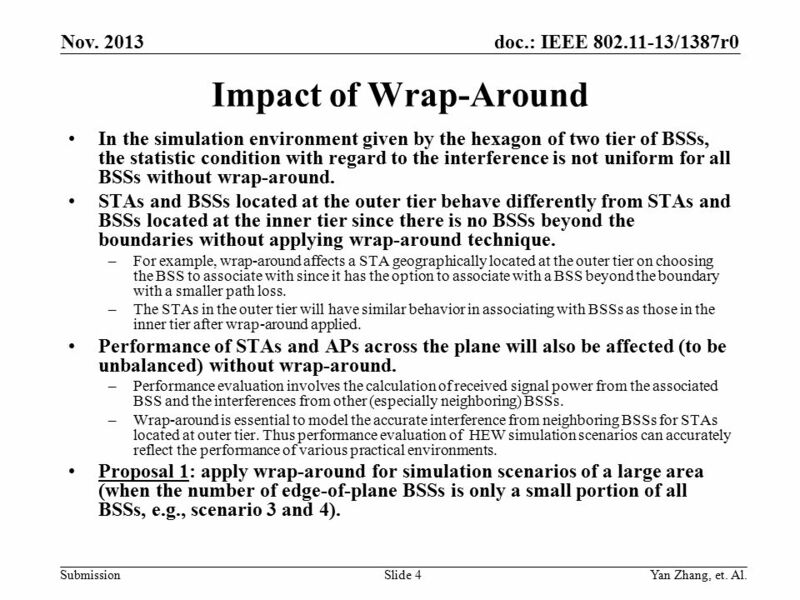 : IEEE /0543r0 Submission May 2015 TG ax Scenarios Proposed additions for frequency re-use Date: Authors: Graham Smith, SR TechnologiesSlide. EEE440 Modern Communication Systems Cellular Systems. Doc. 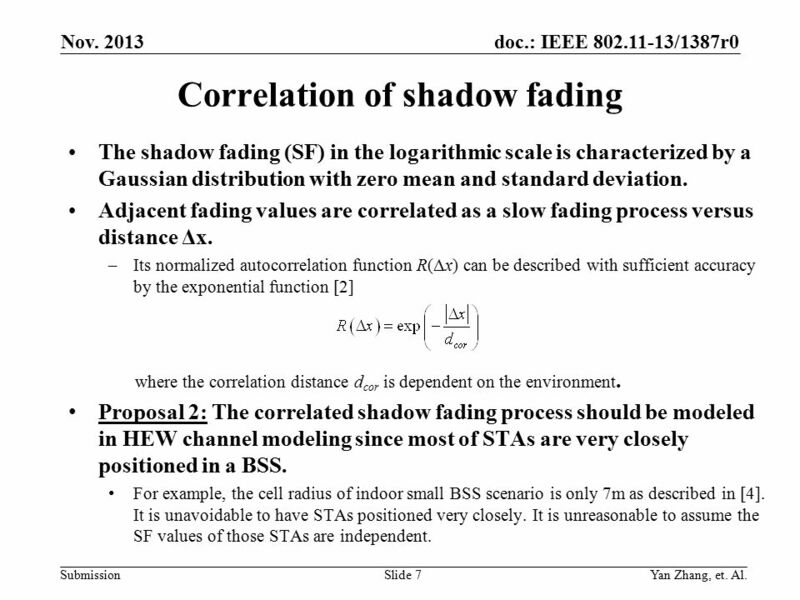 : IEEE /1227r3 SubmissionSlide 1 OFDMA Performance Analysis Date: Authors: Tianyu Wu etc. MediaTek Sept 2014 NameAffiliationsAddressPhone . Doc. 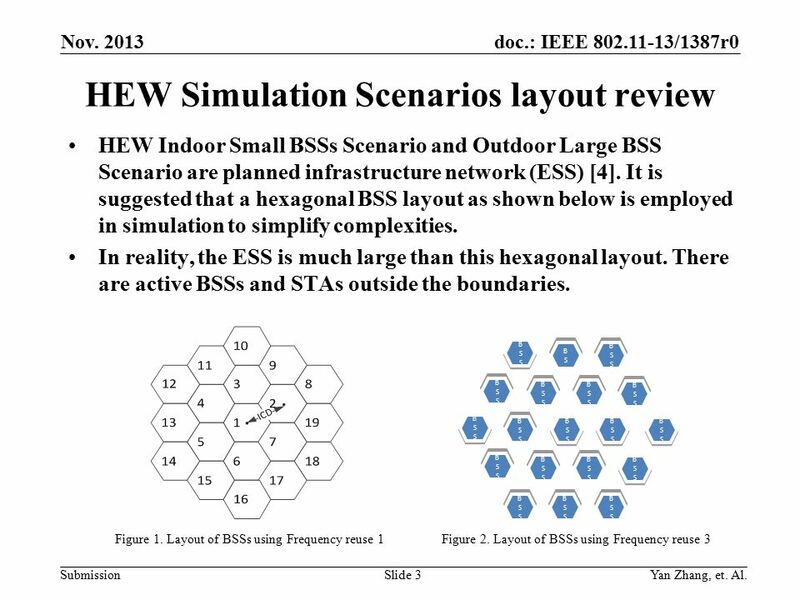 : IEEE 802.11-14/0577r1 Submission May 2014 Nihar Jindal, Broadcom Path Loss Model for Scenario 1 Date: 2014-05-13 Authors: Slide 1.